As part of our new project with L.I.E.S. and Bunker Records affiliate and all around genius engineer / reviver, Antenes we’re continuing the exploration of Morse Code and telegraphy as a means for inspiration and innovation in electronic music. At Rewire 2018, Antenes will debut her new RE:VIVE commission Telegraph Music which celebrates the intersection of electronic music and early telecommunications while exploring how Morse Code can be integrated into electronic music as a new way to express ideas. This RE:VIVE Sample Pack offers up nearly 200 Morse related recordings that allow you to do what Antenes is doing without all the soldering and circuit wizardry. 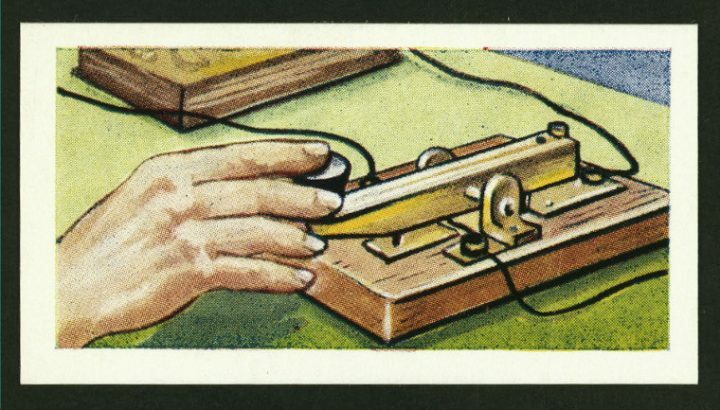 The advent of Morse Code came along when Samuel Morse and Alfred Vail conceived and developed a methodology for a deriving a new language made from electronic current pulses sent along an electromagnet. It’s was first put into wide usage in 1844. But, the key word there is: language. For many experienced operators the nuances and personal characteristics of other operators’ telegraphing was as identifiable as personal quirks and nuances in the human voice. And like the human voice, it can be sung and boy was it ever. It was essentially demanded of those learning morse and telegraphy that they sing what they’re tapping. “DAH dit DAH dit dit dit DAH DAH dit” for example is K S G. A “dit” counts as 1, each “DAH” is the length of 3 “dits” and each space between each “dit” or “dah” in a word is equal to one “dit”. The space between letters is equal to three “dits” and lastly the space between letters is as long as 7 “dits”. Here’s a handy visual below. FYI, “Paris” is the most commonly used word cause it has 50 “dits” making it easy to calculate words per minute. 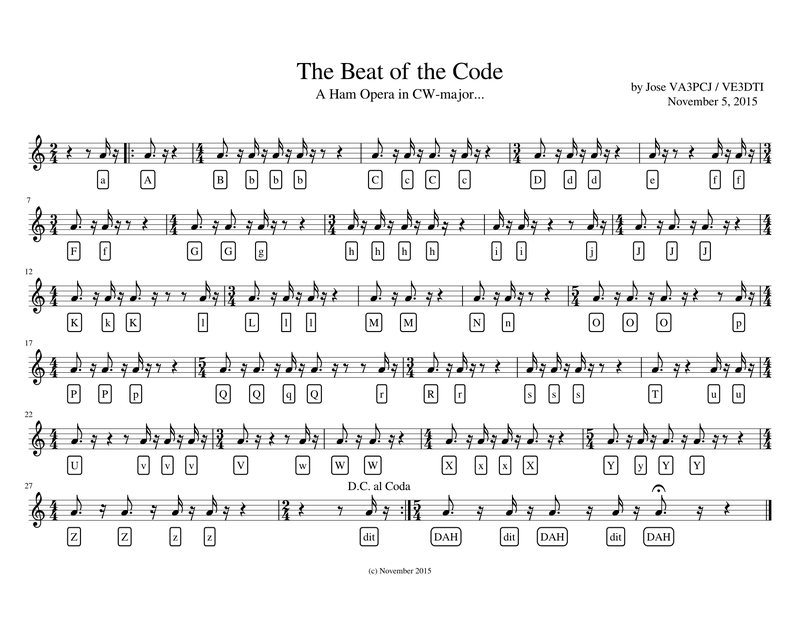 There’s some other great reference material for sonifying morse code like this video or this drum machine emulator. 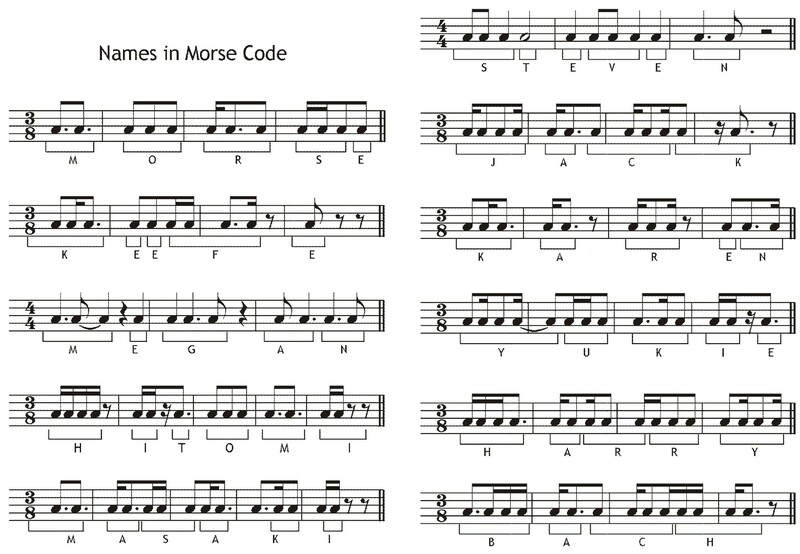 But the best way to hear the musicality and rhythm of morse is really just to listen to it. So for this sample pack we put together two different sets of recordings. One is an old U.S. Armed Forces Institute Basic Radio Code instruction and testing guide digitized from 22 78rpm shellac records. The other 120 recordings are from the Radio Holland Heritage Foundation and are general recordings of broadcasts from around the world. In the U.S. Armed Forces recordings you’ll hear very clean, clear and precise Morse Code made under controlled environments. The Radio Holland recordings were made in the field over a number of decades and range in pitch, rhythm, ambient noise, static from differing atmospheric conditions and lots of other unique variations.